To help develop their skills, it is important that younger children use a football fit for their age. For players aged between 9 and 14, we would recommend one of our size 4 footballs. These balls are slightly smaller and lighter than a standard size, which makes them idea for younger players. 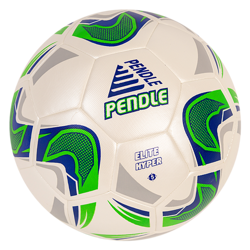 Our range of Match and Training Footballs will help your players develop their skills before they progress to an adult standard size. You will find great offers on our own range and the best that Mitre have to offer. All of our size 4 balls are top quality and made to stand-up to anything your players put them through.